EXOCIN™ is fluorinated 4 - quinolone antibiotic. Apply 1-1.5 cm ribbon of Exocin eye ointment into the conjunctival sack 4 times a day. Alteration (increase or decrease) of dosage may be made based upon the clinical response as judged by the physician. Therapy may be continued for 24 to 48 hours after targets are achieved. White soft paraffin I.P q.s. 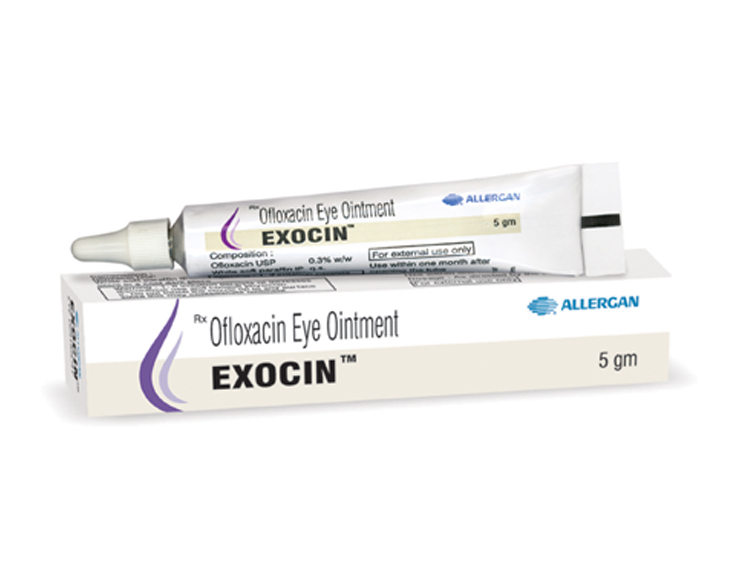 EXOCIN™ is indicated for the treatment of conjunctivitis, corneal ulcers, external infections of the eye and ocular surface caused by various gram-negative and gram-positive bacteria and anaerobic species. EXOCIN™ is available in a tube of 5 gm.